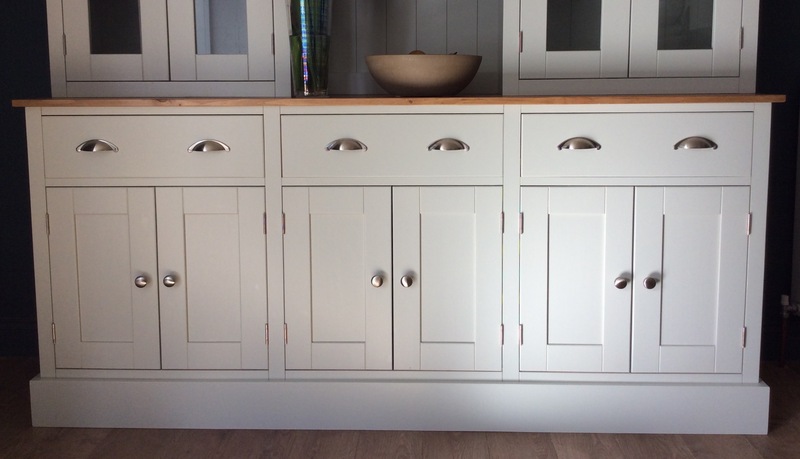 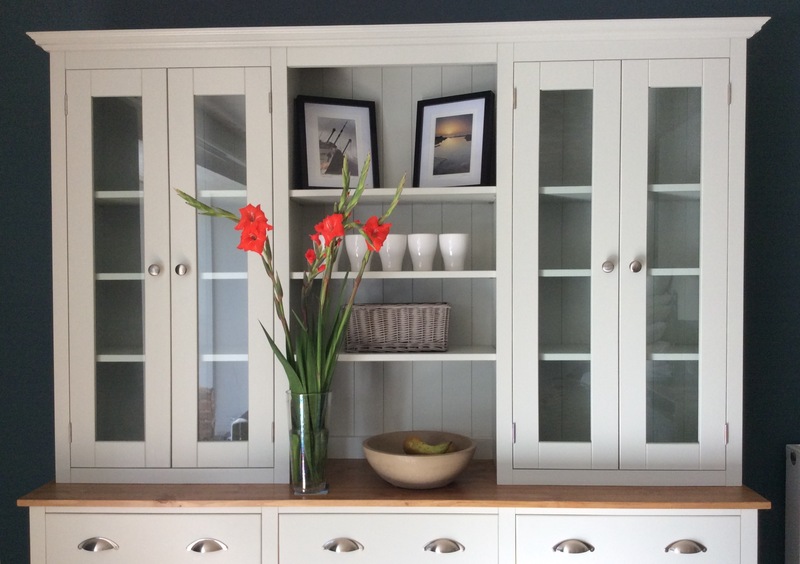 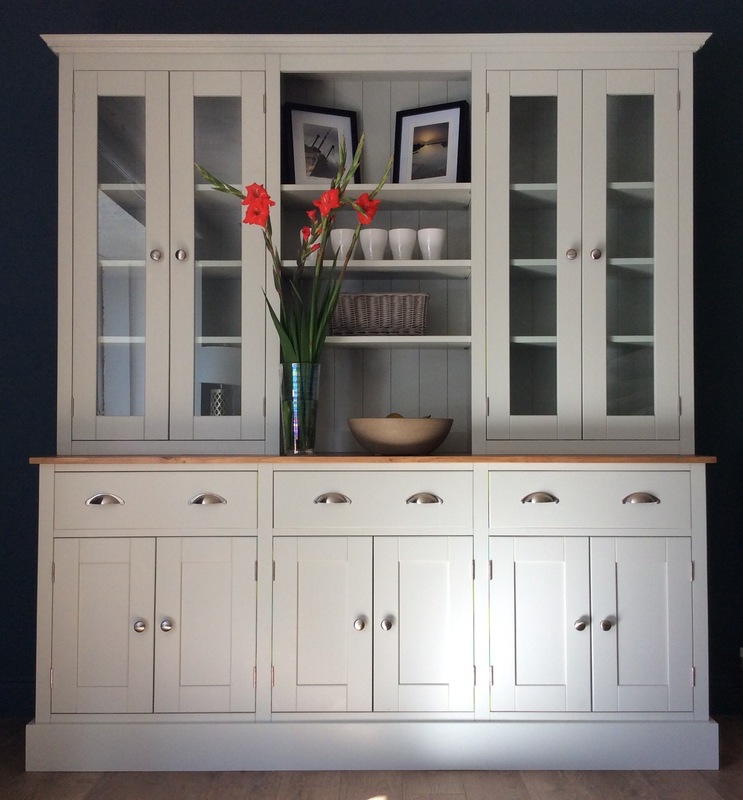 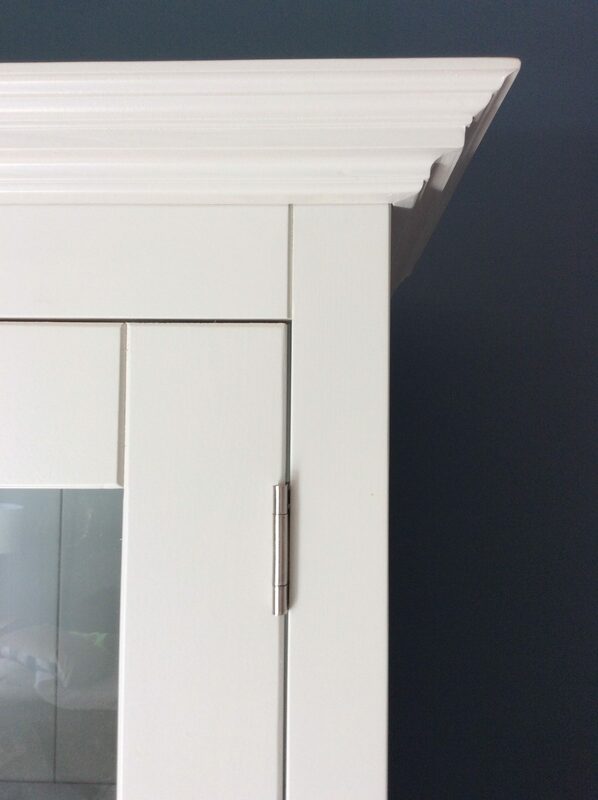 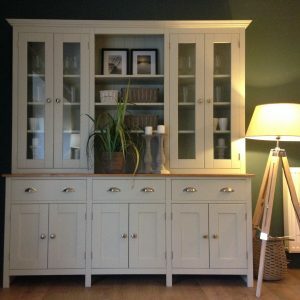 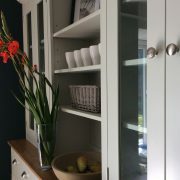 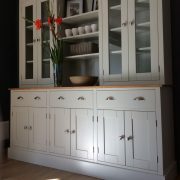 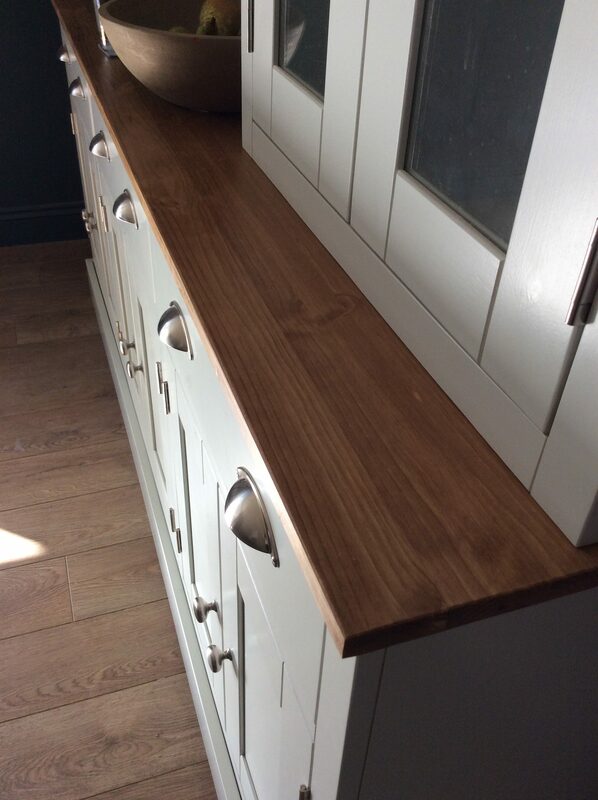 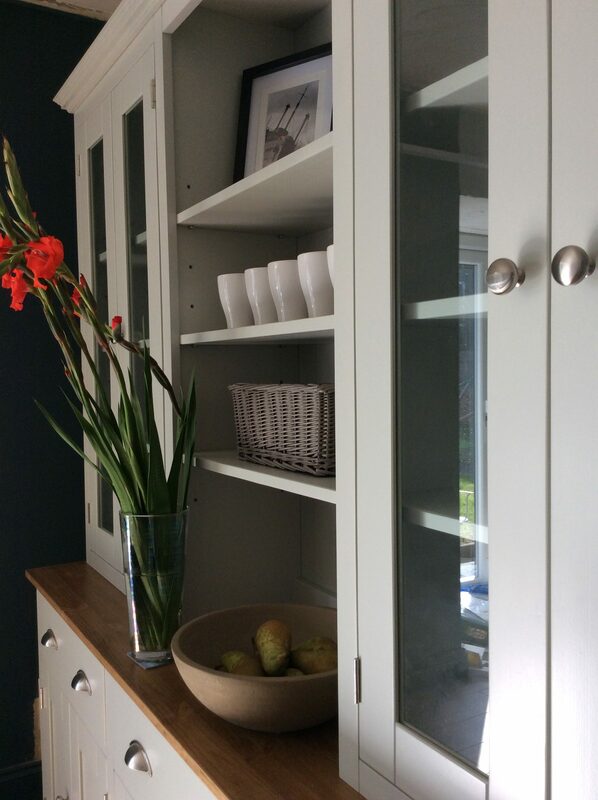 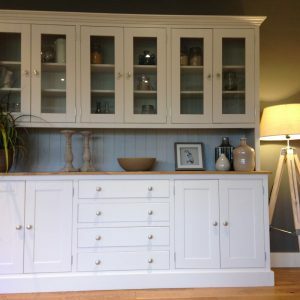 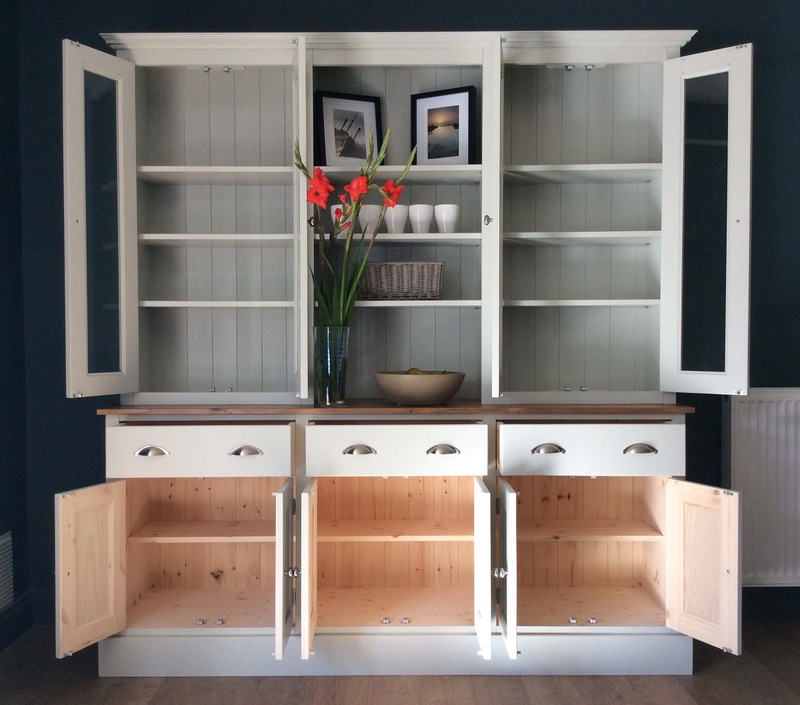 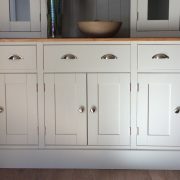 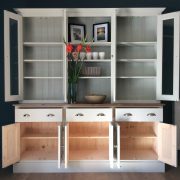 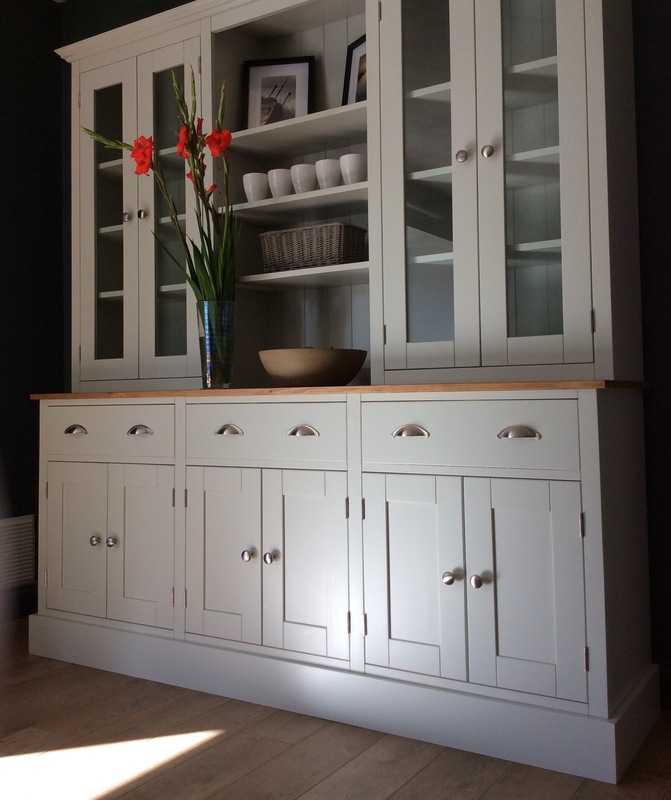 THIS STUNNING PAINTED WELSH DRESSER HAS BEEN DESIGNED WITH THE SIMPLICITY OF THE SHAKER STYLE IN MIND. 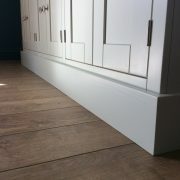 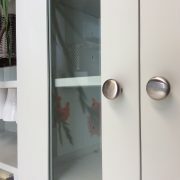 IT ALSO GIVES LOT OF STORAGE SPACE BEHIND THE BASE CUPBOARDS & GLASS DOORS TO THE TOP SECTION. 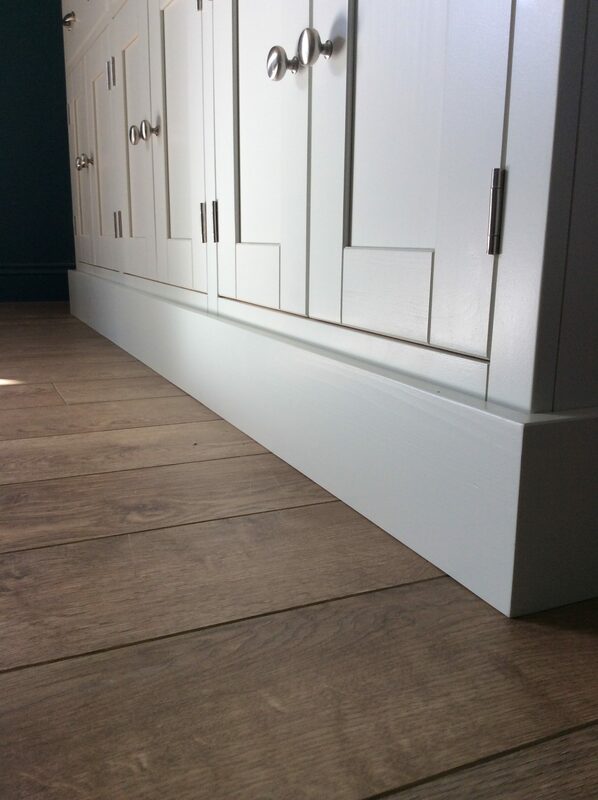 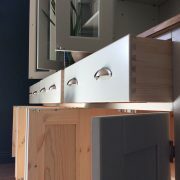 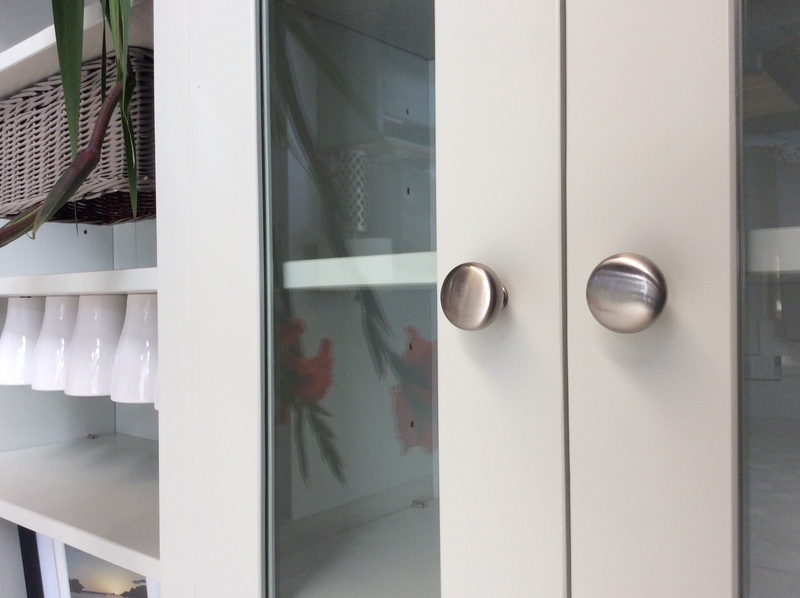 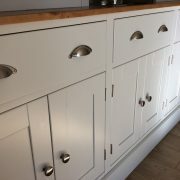 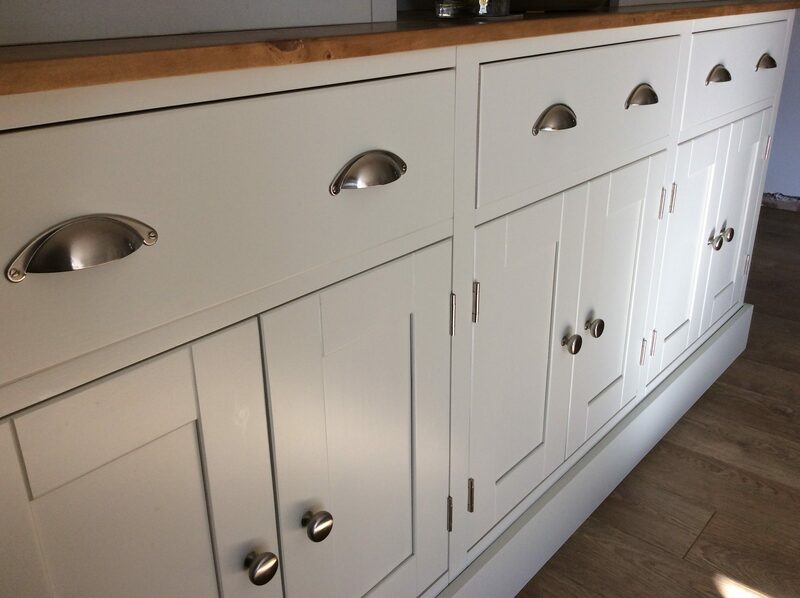 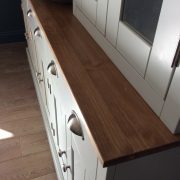 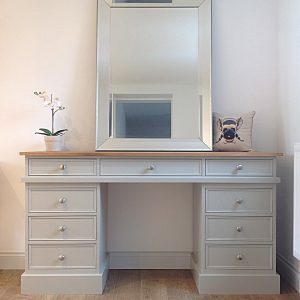 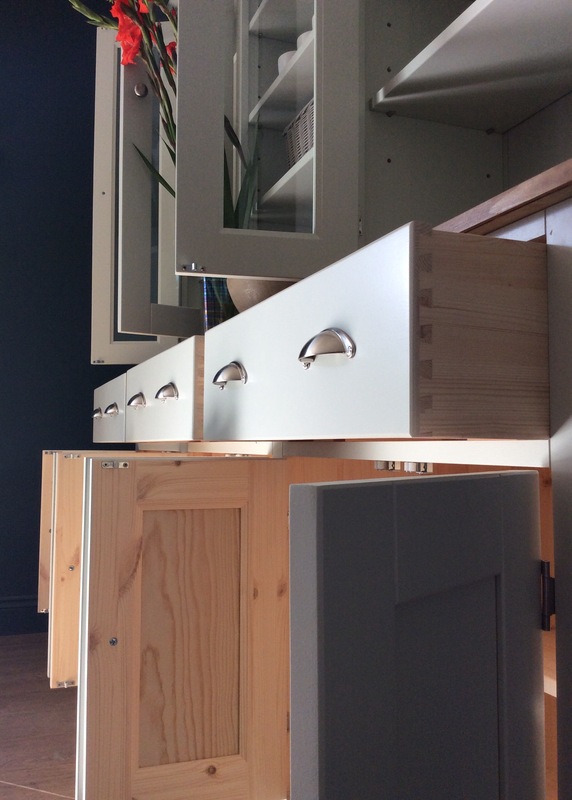 THIS DRESSER CAN ALSO BE MADE WITH 6 GLASS DOORS ALL THE WAY OVER OR SOLID TIMBER DOORS TO THE TOP SECTION IF YOU DON'T WANT THE DISPLAY SPACE. 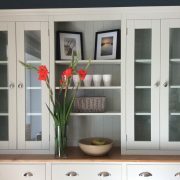 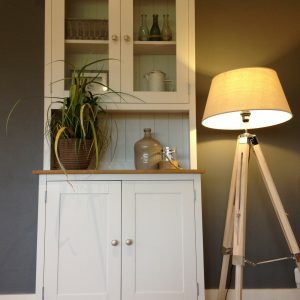 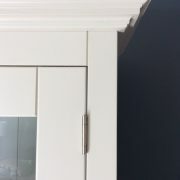 THIS DRESSER IS PAINTED IN CROMARTY BY FARROW & BALL BUT YOU HAVE THE CHOICE OF ANY FARROW & BALL COLOUR INCLUDED IN THE PRICE.